For its return to the 7DAYS EuroCup, Turk Telekom Ankara has loaded the roster of head coach Burak Goren with talent and experience. 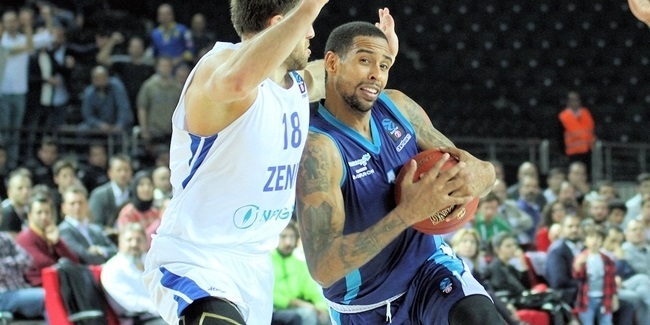 In the backcourt, the club added versatile, veteran swingman Reggie Redding, scoring small forward and former EuroLeague champion Sylven Landesberg, as well as a shooting guard Yunus Sonsirma. Even more additions have been made to the front line, boosting its size and experience. The team from the Turkish capital acquired veteran center Vladimir Stimac to play alongside power forwards Kenny Gabriel and Metin Turen. It also added a pair of promising young centers, 21-years-olds Efe Besok and Ercan Bayrak. Turk Telekom kept the veteran backcourt duo of T.J. Campbell and Ender Arslan, the team's best players last season, to run its offense again. Both are small in size, but Campbell's ball-handling skills and court vision keep opposing defenses off balance, while Arslan brings leadership, game-reading and the ability to change pace. Last season, they often played together with Arslan offering deep shooting range. They are surrounded by a lot more help this season. Redding and Landesberg can score in bunches, either by taking it to the rim or knocking shots from all distances. And Redding is a fine wing playmaker, too. Turk Telekom will have plenty more perimeter players with previous EuroCup experience, like sharpshooters Serhat Cetin, Can Fikret Akin and Sonsirma, or small forward Polat Kaya, who returns to the competition after 13 years! The new-look frontcourt features Gabriel, Stimac and Turen. Stimac is a workhorse who topped the EuroLeague in rebounding early last season with Anadolu Efes Istanbul. The high-flying Gabriel, last with Panathinaikos OPAP Athens, also knocks down shots from the wings. He should be on the receiving end of many of Campbell's passes. Turen, the youngest in this group, at 24, can cover both forward positions. That trio is joined by a couple more veteran big men who delivered last season, 38-year old center Kaya Peker and a stretch-four Nusret Yildirim. Youngsters Besok and Bayrak will provide depth and fight for minutes to get much-needed experience. After spending five years at Maccabi FOX Tel Aviv and winning the EuroLeague crown in 2014, Landesberg played last season with Estudiantes Madrid, where he exploded offensively. He was the second-best scorer of the Spanish League with 20.1 points per game, including a 48-point performance in a win over FC Barcelona. Long known as a talented and promising small forward, Landesberg had to wait until last season to finally get freedom and show what he is capable of doing. Now in his prime at age 28, Landesberg has all the tools to be a lethal scorer at this level and start filling up EuroCup box scores. 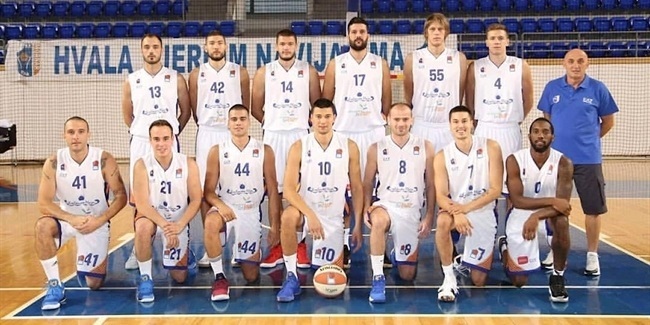 Returning to the EuroCup after nearly a decade away, Turk Telekom has the look of the team that could do plenty of damage. 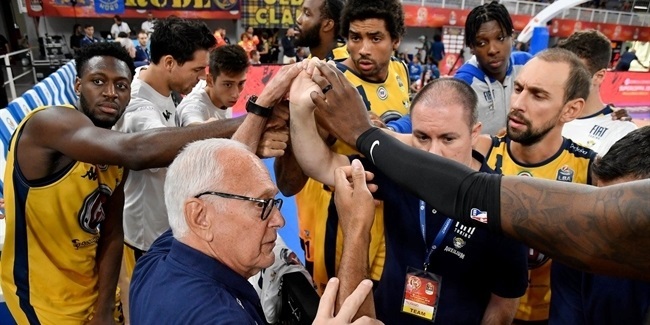 It has loads of experience, and the arrivals of EuroLeague players like Redding, Gabriel, Stimac and Landesberg say a lot about this club's aspirations. In addition, the team kept seven of its top eight scorers from a year ago, which means it might not take long for Coach Goren to get everyone in synch. It is a team that will likely share the ball well and play up-tempo basketball while also being aggressive on both ends of the floor. Once it finds balance and chemistry, Turk Telekom will be ready to make noise in its long-awaited return to the competition.